The indefinite article has two forms in English, depending on whether the next sound is a consonant or a vowel. So we have a fish but an end. 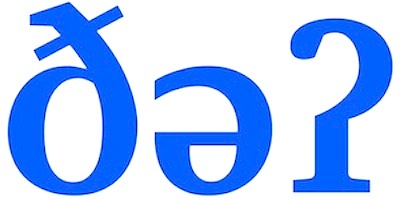 This is one of countless illustrations across the world’s languages of the universal preference for vowels to be separated by consonants rather than to occur in sequences. There’s a similar generalization with the unstressed definite article, although it isn’t reflected in the spelling. So the fish has a form with the weak, colourless vowel schwa ə, ðəfɪʃ, while in the apple the definite article has the FLEECE vowel ɪj, ðɪjɛnd. As I noticed while living in the USA and in Scotland, many speakers there don’t conform to this pattern. 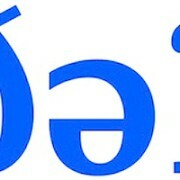 They can use ðə in all environments. When a vowel follows, there’s typically a glottal stop hiatus, so we get ðəʔɛnd. A parallel state of affairs exists with the unstressed preposition to, which usually has schwa before a consonant but the GOOSE vowel ʉw before another vowel: to fish təfɪʃ, to end tʉwɛnd. But many Americans and Scots use tə everywhere: təfɪʃ, təʔɛnd. Of course, General American and Scottish English are a lot more tolerant of abutting vowels than Standard Southern British (SSB). For Americans and Scots, the schwa variant of the‿end is like Pamela‿Anderson or Obama‿administration, whose abutting syllables are pronounced ə‿a and ə‿ə, or əʔa and əʔə. By contrast, SSB avoids such sequences by inserting a linking ɹ between the vowels – PamelaɹAnderson, Obamaɹadministration, etc, etc. For those who are trying to acquire an SSB accent, I generally recommend that vowel sequences have a linking w, j or ɹ, as in the mnemonic phrase twowo’clock, threejo’clock, fourɹo’clock (bearing in mind that the w or j is intrinsic to the first vowel, whereas ɹ in inserted). And I recommend avoiding or minimizing the glottal hiatus (“hard attack”) that is so common in the speech of foreign learners, eg twoʔo’clock, threeʔo’clock, fourʔo’clock. So I confess that I’ve been rather taken aback at the rise of prevocalic ðə in SSB. It’s by no means a default, but it’s now quite common especially in the speech of younger, middle class women – the same speakers who tend to have more Uptalk, GOAT-fronting and ejective final k. It’s generally used with glottal hiatus – never with linking ɹ, so we get ðəʔɛnd but not ðəɹɛnd. Initially I took this as a giveaway of Harris’s Scottish origins, which are barely noticeable in the Estuary-ish speech he uses in interviews (and in the stressed vowel of eighties). But now I tend to suspect that he was a phonetic trend-setter. I don’t think that prevocalic ðə was very acceptable for Southern Brits in the 1980s, but for a number of them it certainly is now. becomes amibiguous between I know the others like it and I know that others like it. The high incidence of t-glottaling is, of course, one of the main points that differentiates contemporary SSB from old RP. I would find it quite surprising if SSB were to develop a high incidence of both t-glottaling and glottal hiatus. With the New Year looming, then, I’m going to be reckless and make a couple of (tentative and conditional) phonetic predictions for SSB. First, if ðəʔ becomes more widespread for prevocalic the, I might expect subordinating that to be heard increasingly in its strong form ðat, to keep it distinct from the. Second, if ðəʔ and təʔ presage a more general upsurge in glottal hiatus, then I might expect a corresponding decrease in t-glottaling. Note that Calvin Harris sings “theʔeighties” and not “theʔeighʔies”. Word-final ejective kʼ has become very common in SSB – perhaps final ejective tʼ will begin to take over from t-glottaling? When I moved to the US from the UK in the late 90s I noticed that my use of “linking the” frequently caused difficulties in comprehension. I’ve often ended up compromising by using the happY vowel but including an audible gap in voicing between the two words. Notwithstanding these recent developments, I insist that my German EFL learners avoid forms like ‘[ðəʔ] others’ because German is rich in glottal stops and exporting this habit to English makes their pronunciation sound like an CO on a military training ground. Are you sure Scots would use glottal stops between two vowels since it’s usually an allophones for /t/? Yes, many Scots can say ðəʔ both for weak that and for prevocalic the. Eg in this YouTube video featuring Scotsman Neil Oliver, at 1:45 he says ðəʔartifacts (= the) and at 2:05 he says ðəʔour ancestors (= that). And in this video SNP leader Nicola Sturgeon pronounces prevocalic to as təʔ in təʔimagine (0:50), təʔask (1:25) and təʔanswer (1:31). As I say in the post, increasing numbers in England are doing the same.